Tower Top - buildng a house from the top down?! 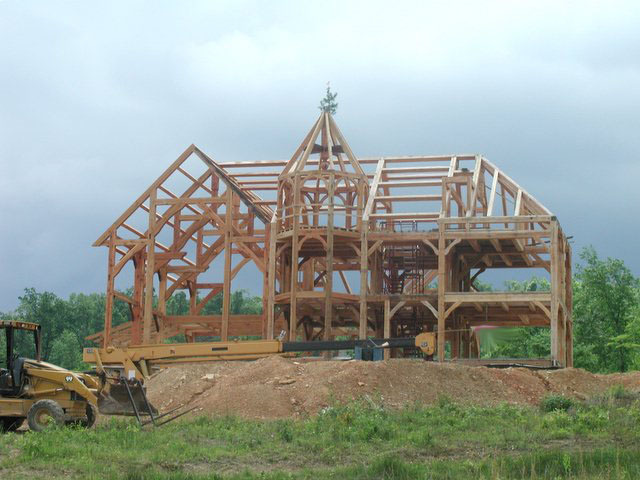 Months before we even started on the foundation for the house, we had a mini-raising and assembled the top of the tower. We did this partially for a morale booster - to see something go together! 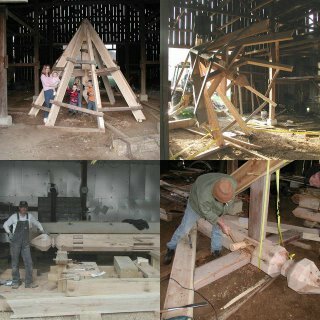 and partially because it was so darn complicated that we were afraid to stack it in the barn with the other timbers, not knowing if the pieces actually fit together or not! 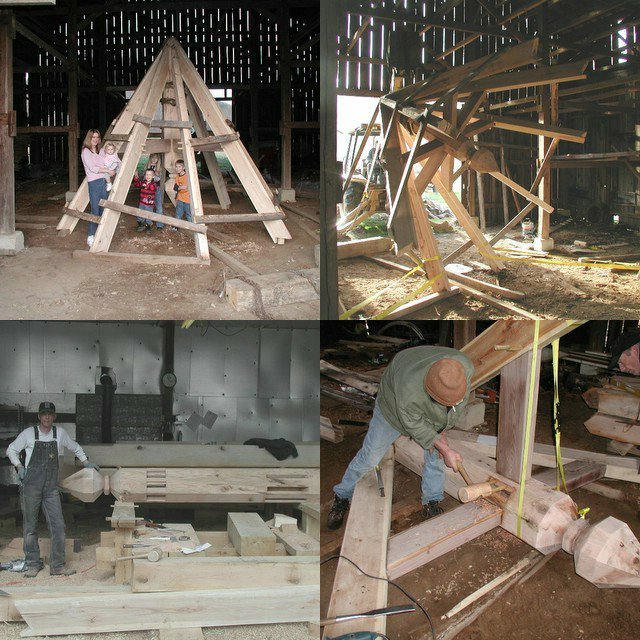 They went together wonderfully (it took less than 2 days to put the pieces together) and the tower top is now sitting in one of our tobacco barns, waiting for its day to shine on top of the house. I am so glad this piece of the house is finished!